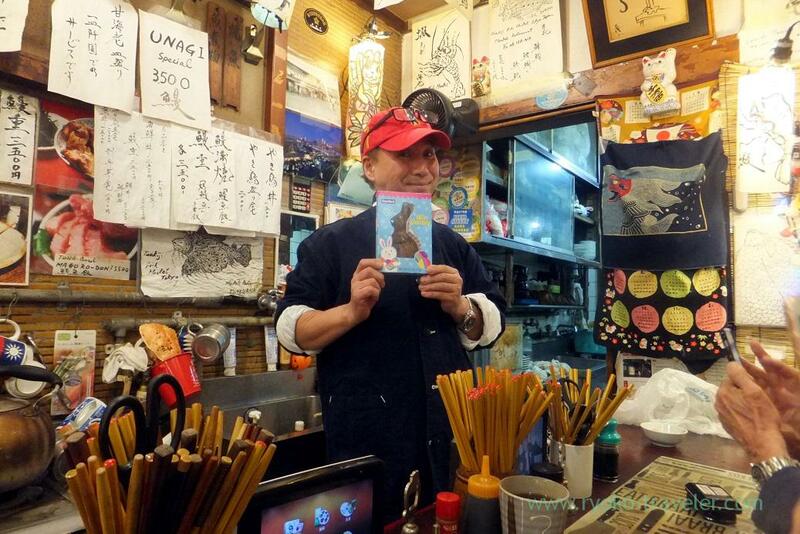 I heard that that day’s chef’s choice at Yonehana is bonito sashimi and grilled eel’s innards. 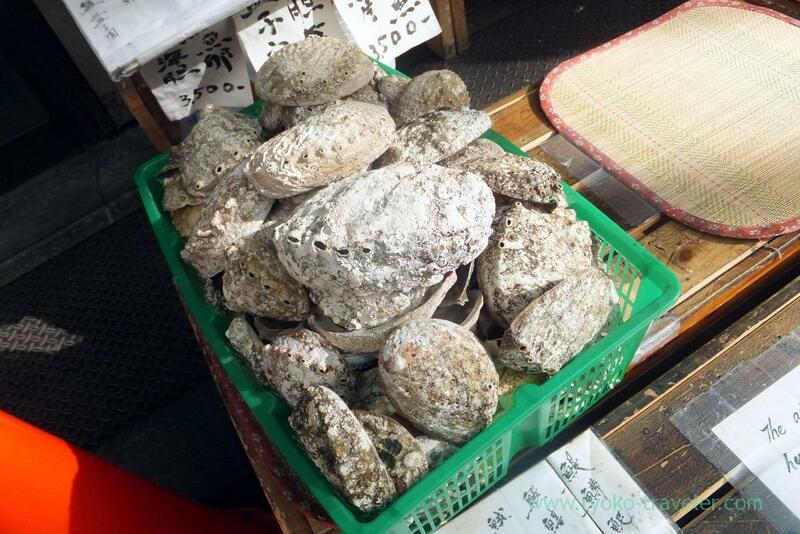 So, I went into Yonehana with pleasant. 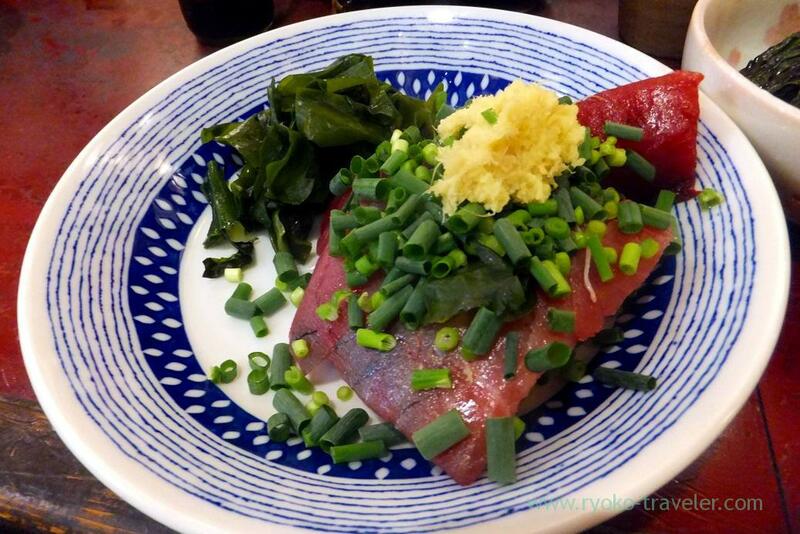 I ate bonito sashimi at Yonehana last time, too. It was delicoius. 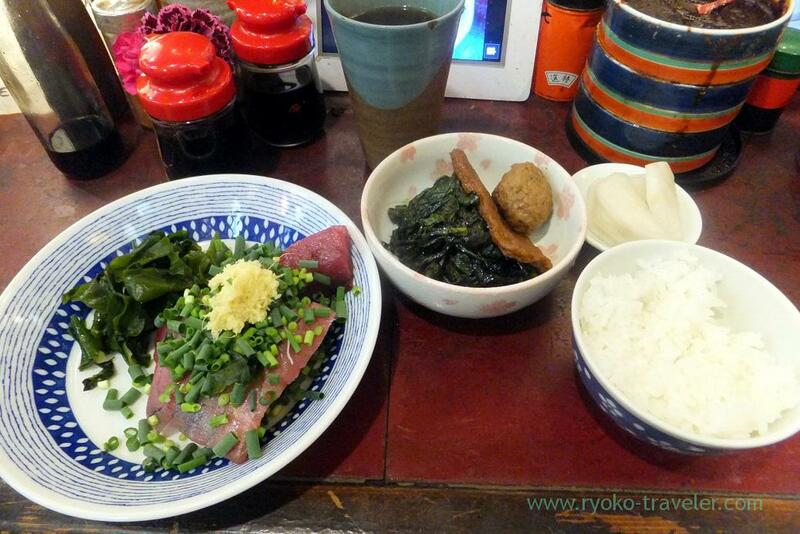 Basically, Yonehana serves so thick slices of sashimi, and especially thick bonito sashimi is delicious. As soon as I entered the shop, the manager said to the kitchen area, “Chef’s choice!”. And then, my breakfast was served. Umm. there was no eel’s innards and large “small dish” was served instead of that. Eel’s innads seeemed to be ran out. But it is within my expectation because eel’s innards are precious and one eel have very little innards. Though skewering food with chopsticks is unrefined, but is there anything else for eating it ? Attention. 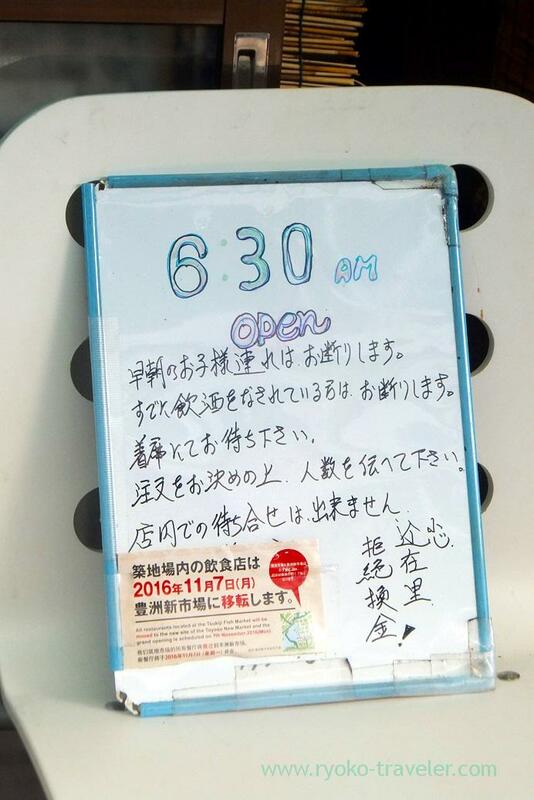 Now Yonehana is open from 6:30 a.m. and mostly foods are sold out before 12 p.m. Sometime around 10:30 a.m.
Family with small children is refused early in the morning. People who already have alcoholic drinks is refused. 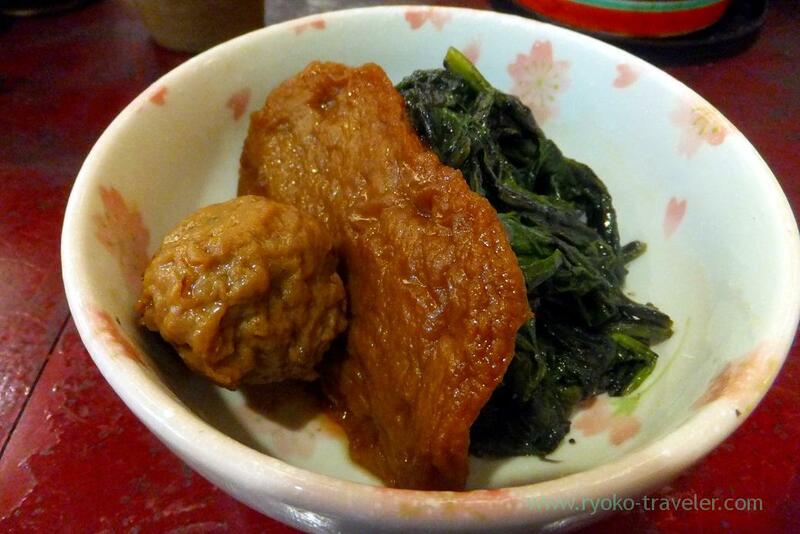 And Eateries in Toyosu market are to open from November 7th. After that I went across Kachidoki bridge for my office. 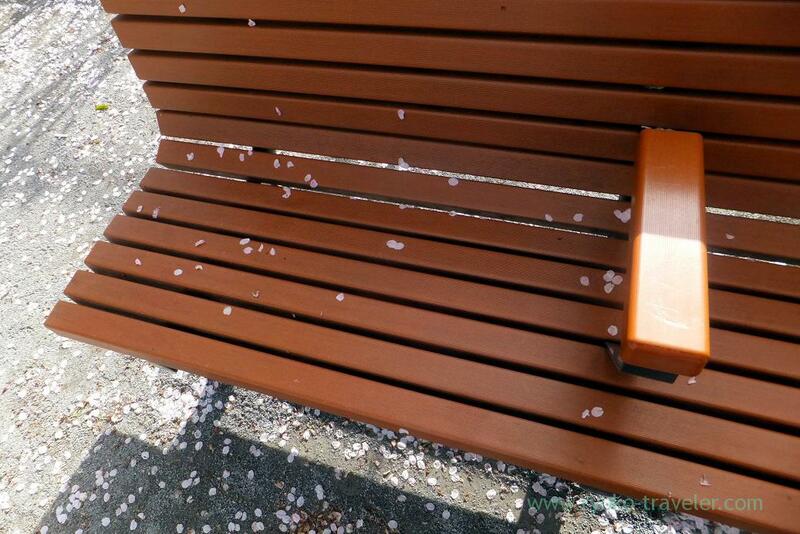 I dropped in at the park in front of kachidoki station on my way to my office for seeing cherry blossoms. Strong wind blew. 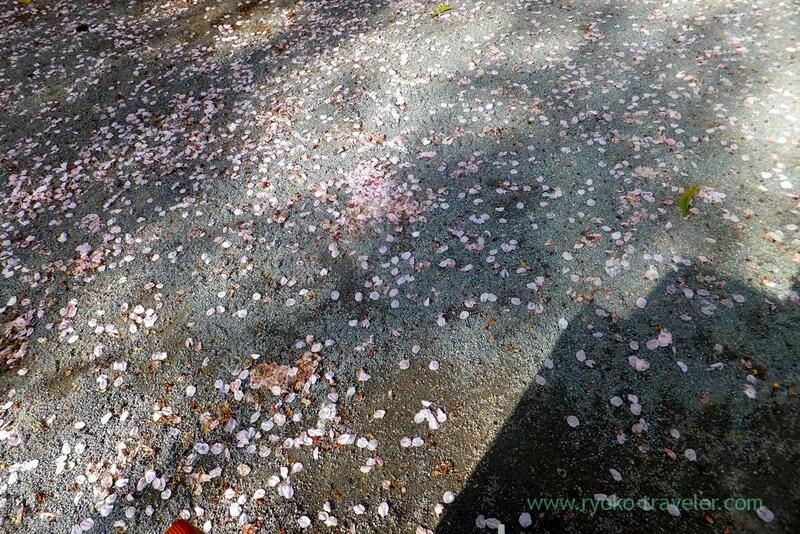 Flurry of falling cherry blossoms was beautiful. Cherry blossoms season will be end soon.